The simple way to turn an unheated propagator into a heated one when required, as indicated by the seed supplier on the packet. Place on a flat surface near a 3 pin plug point. Plant up the propagator in the normal way and place it on the heated mat. Switch on creating the optimum conditions for growth and germination. Never let the plants dry out. This heating mat is designed to sit under propagators. 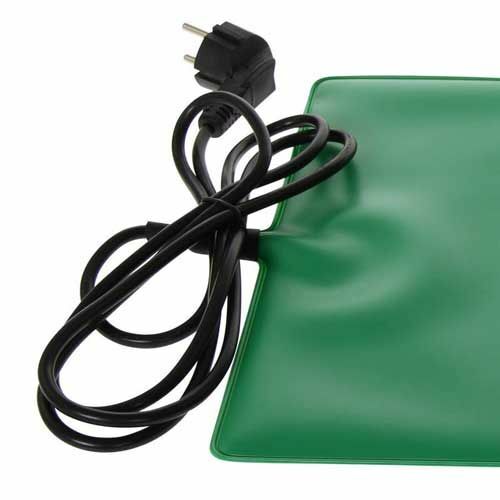 The Neptune Hydroponics heating mat runs safely from standard electrical supply and helps for a successful plant propagation, especially for sensitive plants requiring warmth. 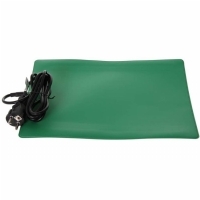 The PVC covered heating mat is insulated and acid-resistant. It is suitable for indoor propagators. The heating mat produces constant heat and therefore the inside temperature of propagator should be controlled regularly. A temperature regulation can be made using a clock timer if necessary (sold separately).